Hello. 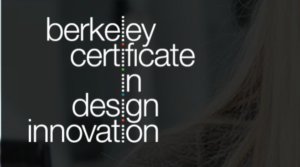 I’m Tyshon Rogers, Student Services Advisor for the Berkeley Certificate in Design Innovation and the Jacobs Institute for Design Innovation. I’m here to answer any questions you may have about the certificate program and/or any of the student resources here at Jacobs Institute. Please select any time available below to set up an appointment with me. If none of these times work for you, please contact me at trogers@berkeley.edu and we can arrange another time to meet.